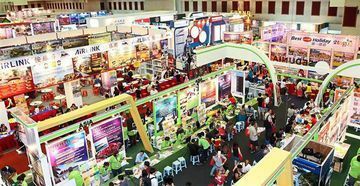 Sabah Malaysian Association of Tour and Travel Agents (MATTA) Fair, Malaysia’s largest nationwide consumers’ travel fair is taking place 10-12 May at the International Technology and Commercial Centre (ITCC) in Penampang. The 2nd Annual Synergy Summit for Cultural & Heritage Tourism is returning to Greater Fort Lauderdale, on May 9-11, 2019, in tandem with National Travel & Tourism Week. Korea will introduce two new MICE communication messages to boost Korea’s MICE industry. Korea’s MICE Bureau will introduce a distinct message for each of its two divisions – Conventions and Corporate Meetings & Incentives. In conjunction with the 30th World Hemophilia Day (WHD) the Kuala Lumpur Convention Centre (the Centre) announced that it has been selected as the ‘venue of choice’ to host the World Federation of Hemophilia (WFH) 2020 World Congress. VisitScotland Expo, Scotland’s biggest travel trade show, has hailed this year’s event as one of the biggest in its 40-year history and announced it is heading north in 2020 to the most sustainable event venue in the UK. 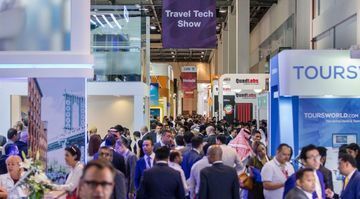 The German National Tourist Board (GNTB) will be showcasing a range of key destinations at Arabian Travel Market (ATM) 2019, which takes place at the Dubai World Trade Centre from 28th April to 1st May.